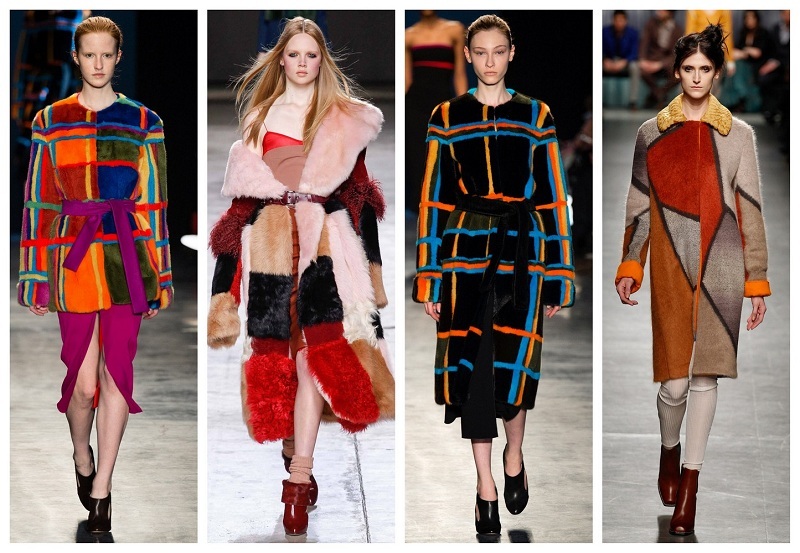 8 Styles Of Coats To Impact In Winter How To Combine Them? This Nevada season brings wonders of the catwalks; your space to buy branded online clothing will show 8 styles of the coat to impact in winter. The colorful patchwork, quilted, sailor style and geometric shapes come to sweep in the 2016-2017 season. We will take you to know the possible combinations of the outfit with this garment so essential when the temperature drops. One of the most exciting moments of the winter season is to see the styles of coats that will be fashionable and accompany our outfits. 2017 has been an interesting year for the catwalks, the return of trends such as military, flared pants and prints do not stop attracting attention. We are not disappointed by the return of certain clothes for cold clothes. A good coat must have strong, resistant and in some cases waterproof materials. Durability and quality are crucial to accompany you for several years. Although the cost of this garment can be high it is a worthwhile investment. The choice of a timeless style that will not go out of style will be a plus to retake it every season. This winter 2017 is full of fashions that come back and clothes that cannot miss in your wardrobe in winter. It is an excellent opportunity to renew your favorite coat or take back those old ones that you considered out of trend. We will give you a tour of our favorite styles and their possible combinations to impact this season, join us! Know the best options to protect yourself from the cold and look good in winter. Without doubt of our favorite looks for its elegance and simplicity. The styles imposed on the catwalks by designers like Michael Kors are characterized by neutral colors common in the winter. The inspiration is based on the marine fashion with front buttons and cut at the height of the knee or to the ground depending on the weather. We know that it is a style that always returns in the winter, that’s why we consider it a good acquisition for your wardrobe. This year comes with bold details with stripes, multicolored buttons, lines on the neck and a defined body. By having neutral colors and an elegant design the navy coat fits with dresses, full body pieces, jackets and oversize pants. The dominant tones are beige, gray and black. Padded coats are functional for day to day. Protect from cold, rain and adverse conditions without losing style. A recurring trend is to include in this and other designs a collar with feathers to enhance comfort and comfort. They can be combined with all kinds of looks. They have a variety of styles and designs like the simple and functional Tommy Hilfiger. You can wear both natural and synthetic hair and go both in the neck and in the sleeves to keep the body warm. The daring coats of stables and stripes are back. The art of using them is finding the right colors and designs. The good news is that there is no shortage and this winter on the catwalks there are numerous examples. The materials are your choice, cashmere and wool are common to protect from the cold. Remember that looking stylish does not mean neglecting the weather conditions. The combination of your looks of the day will depend on the design of your coat. You can use it with outfits of faint colors like navy blue to be the garment. The daring tones are fashionable this autumn-winter so do not be afraid to try them. One of the styles in the coat to impact in winter is the functional military fashion for men and women. The camouflage returned to masculine fashion as well as everything concerning the “uniformed attire” as we saw with the navy garments. From the 40s on the catwalks reigned the military clothing and every decade return with force. This winter 2018 it was his turn. The characteristic colors are gray, black, moss green, metallic and earth tones include patterned or not. You can combine garments of these tones. 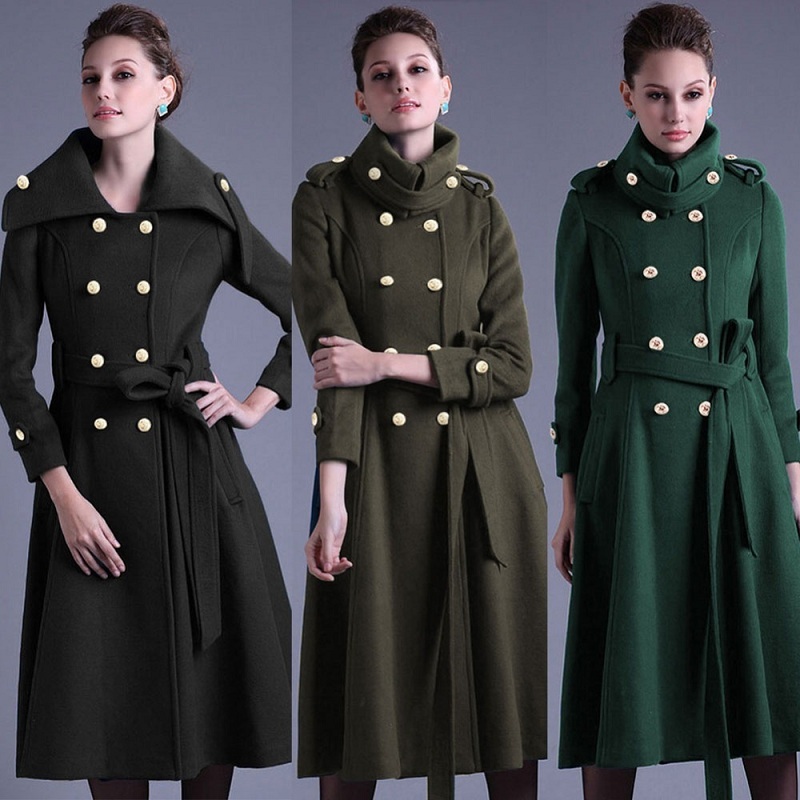 If you wear the military style coat, combine it with pants and one-color shirt. Magazine portals and fashion bloggers have classified the yeti coats as their bet for fashion this winter. It will help you to impact anywhere, but it is not a garment made for everyone. Warm, soft and very stylish this plush fabric draws attention and that can be intimidating. If you work in a context where you can wear it for your day to day, go ahead! Otherwise, think about it before including it. With this material, it is time to test those daring colors that you may not be able to include in other styles. The patent leather coats not only protect from the cold but also give a waterproof feeling with a youthful touch. To use it in your day to day purchase one with a long half to carry everywhere. The male coats are a piece to wear with attitude. Colors and designs are left over from those that include feathers, buttons, reliefs, floral and metallic patterns. A versatile style for walking on the urban catwalks without going unnoticed. For men, they also work well in light and dark tones, a good companion for work. 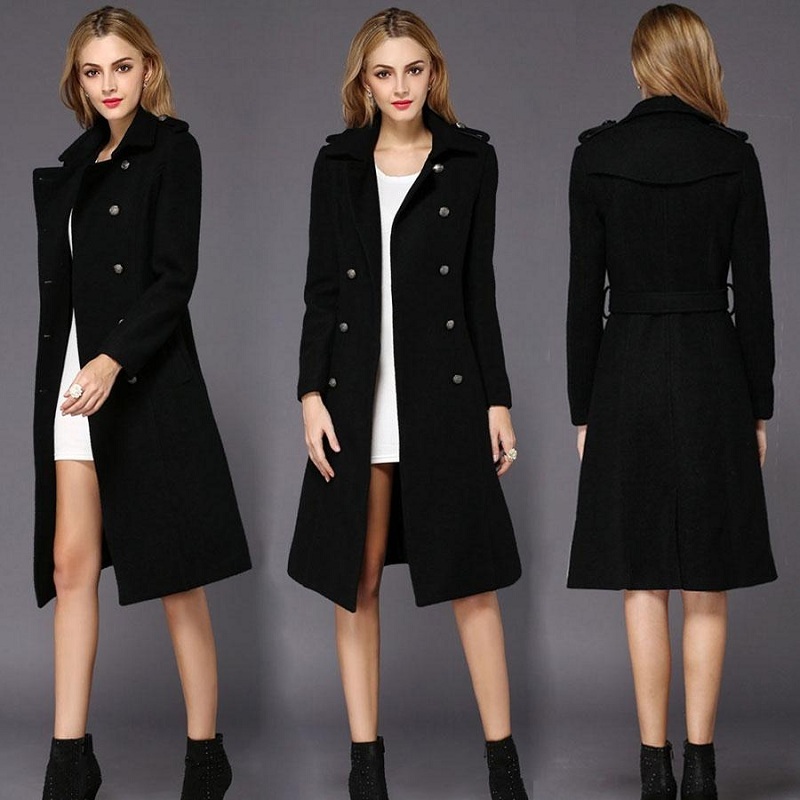 This style of very long coats is especially recommended for tall women, it will help your figure look much better. We’ve already talked to you on the blog about this striking style to take advantage of the winter. It’s related to the return of boho style and patchwork is a quilted, daring, youthful and irreverent style. They come in multiple colors, from simple to complex designs and the variety of prices you will love. It is a garment that you can wear with high boots, dresses or large bags without guilt. The materials, the sewing, the quality and of course the style are essential elements to choose a good coat. We will give you some tips to make a good purchase decision and acquire a durable garment. Please! Fashion trends are important but do not get carried away by styles that do not combine with your day today. It is useless to buy a coat that later you will not be able to use with anything. Choose materials such as cashmere, natural fibers and wool for your coats. Verify that your seams are of good quality. Consider the average temperature of your city during the winter. For example, if it is very cold in your area (-1 and down) it is best to opt for full coats to the ground. If it is not so cold look for garments up to the waist. Do not be shy (or) with colors. The styles “total gray”, the shades of orange, red, yellow mustard and blue are hanging around the catwalks. Include them in your coat or outfits of the day. Check your outerwear options in detail to make an informed decision. Find a coat that goes with your personality, is the best way to accompany you for years. Be in neutral colors or with daring designs let your essence flow this winter and the following. To revitalize your coat wardrobe you can include a collar or leather sleeves, a new inner lining or buttons. Which of these 8 styles of coats to impact this winter combines more with your personality? Let us know in the comments, remember that we love to read you.